The Ford GT that WWE star John Cena originally purchased which he then tried to sell, was sued by Ford, then sold, then it sold again… yeah, that one, well, it’s for sale again. Or is it? This week Jalopnik reported about Cena’s Ford GT and its troubled past. Last month reports claimed that Cena’s 2017 Ford GT was back up for sale and was scheduled to head to Mecum Auction’s in Indianapolis this May. Cena originally took delivery of his Ford GT in September, 2017. 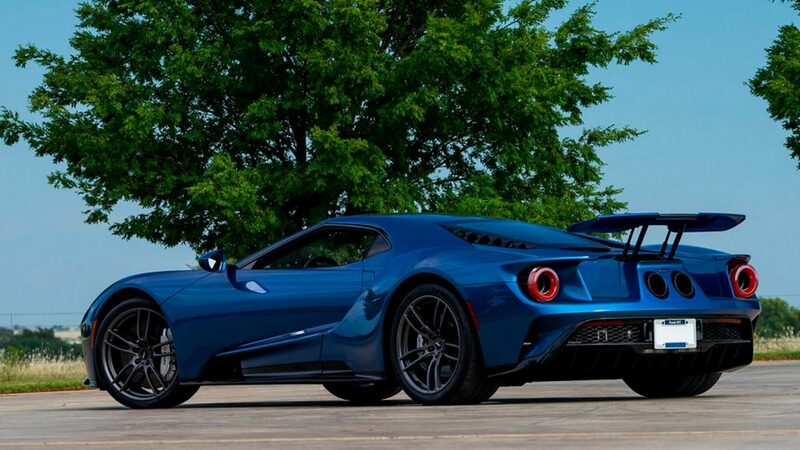 Ford told owners that they had to wait at least two years before reselling GTs to prevent quick flipping, but that didn’t stop Cena and Ford sued him for violating the agreement. According to Jalopnik, the link to the most recent listing currently ends in an error page, and a Mecum spokesperson confirmed that the consignment has been removed. It would appear that Mecum is adhering to Ford’s warning towards the auction house when it comes to (attempted) sales of the Ford GT. Honestly, it’s been difficult to follow what has been going on with this car, but it’s sad to think that such an amazing performance car is sitting around waiting to be taken car of by a new owner. With the attention to detail that goes into hand-building the 647-horsepower Ford GT engine, we only wish that owners lucky enough to have been selected by Ford to purchase the supercar would care about their possession equally as much. Does that limit apply if the GT owner wants to trade it in for a newer Ford?